Your knee is a complex joint that allows you to walk, run, squat, kneel, and perform many of your life’s major activities. Why would you trust anyone other than the best Rockwall knee injury specialists to treat your acute or persistent pain? Within your knee, you have multiple ligaments that help provide stability in movement. If there is an injury to these ligaments, you may lose that mobility you need to get the best out of your life. It is important to maintain the health of your knees so you can live a healthy and active life. With knee injury specialists just a phone call away, make sure you reach out to them at the first sign of pain. Due to the anatomy of the knee, it is vulnerable to injury and malfunction. There are often signs that something may be wrong. Lack of mobility is one of those telling factors that there might be an issue. When a knee is injured, it can greatly hinder the body’s flexibility. Healthy knees provide optimum leg movement. Some injuries can result from twisting, falling, or direct contact. Ligament injuries are common in sports like football, soccer, and basketball. Knee injuries can occur during ordinary or mundane tasks as well. Do not hesitate when it comes to seeking treatment for any such injuries. Knee injury specialists can have a greater impact on your recovery if they are able to address the issue sooner rather than later. Your ACL can be injured if you twist your knee beyond its normal range of motion. Sudden twists and over-extensions can damage this ligament, causing pain and swelling. Your MCL can be injured if your knee is struck from the outside and extended beyond its normal range of motion. When your MCL is injured you may lose your ability to support your weight on this knee. Other ligaments may be torn at the same time. Knee arthritis is caused by the deterioration of cartilage in the knee joint. The two most common types of knee arthritis are osteoarthritis and rheumatoid arthritis, but they are each treated differently by knee injury specialists. The first step when working with one of our knee injury specialists is the evaluation. The physician will consider your symptoms and conduct a physical exam to evaluate your knee’s strength, stability, and range-of-motion. X-rays, MRIs (Magnetic Resonance Imaging), and additional tests may be required to show internal injuries. Based on your examination, your physician will let you know if surgery is necessary or if exercise (whether at home or through an external physical therapy facility) would suffice to improve your knee’s function. ICE, ELEVATION, MEDICATION Your Rockwall knee injury specialists will instruct you to ice and elevate your leg to reduce pain and swelling. Icing and elevating your knee at least 3-5 times a day for 20 minute intervals. At the same time, your physician may prescribe medications to aide in your recovery and ease your pain. EXERCISE AND PHYSICAL THERAPY Physical therapy and/or home exercise may be suggested by your knee injury specialists. These exercises are designed to slowly strengthen your knee and increase its range of motion. The speediness of your recovery will greatly depend on how dedicated you are to following your physician’s recommendations. Your physician may also suggest that you use a brace and/or crutches until your knee is stronger. INJECTIONS Your physician may suggest cortisone injections to reduce inflammation. Some patients may only require one injection, while others may need additional injections to relieve pain and inflammation. Your physician will evaluate your condition to determine if you are a good candidate for total knee replacement. In some cases, physical therapy and exercise therapy may improve your condition without requiring surgery. The success rate for Total Knee Replacement is 98-99%. With current techniques and materials, knee replacements will last 15-20 years or longer. Damaged Joint Surfaces – During the procedure, the surgeon will smooth rough surfaces and may remove  any bone or cartilage fragments. The friction from rough surfaces often leads to pain when moving. Damaged Ligaments & Tendons – During the procedure, the surgeon will staple or suture any torn or  frayed tissues. Torn or frayed tissues often leads to knee malfunction and/or loss of movement. Knee Inflammation – Swelling and pain can result when parts of the knee rub together abnormally. Arthroscopy is used to treat and/or remove damaged tissue. • Knee Malfunction – Pain resulting from knee bone and/or soft-tissue malfunction, can often be alleviated  through arthroscopy. 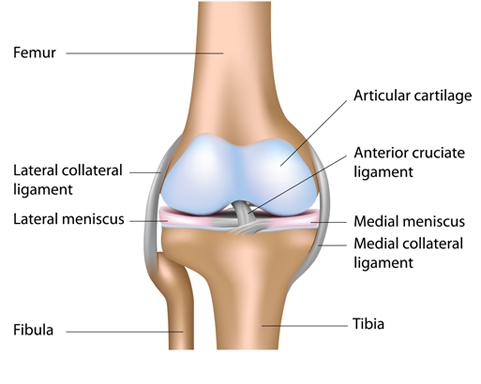 During the procedure, the surgeon can tighten ligaments or tendons to help stabilize  the knee. Arthroscopy is not the solution for every knee malfunction. At times, your orthopedic surgeon might recommend open surgery. Surgical recovery time varies among individuals for a variety of reasons, including age, overall health, and the type of procedure performed. It is for these reasons that a surgeon can only estimate the timeline for full recovery. After 7-10 days, your surgeon will evaluate your wound, remove stitches, and explain any potential exercise programs and/or physical therapy. Are you suffering from a knee injury? Get treatment by our Rockwall knee injury specialists before it’s too late. Lake Pointe Orthopaedics offers surgical and non-surgical options to get you back on track!